Lemon means Spring to me. I know that’s silly since you can get good citrus all year, I guess it’s just something about the freshness of it. It’s like waking up your taste buds from a long winter’s nap. 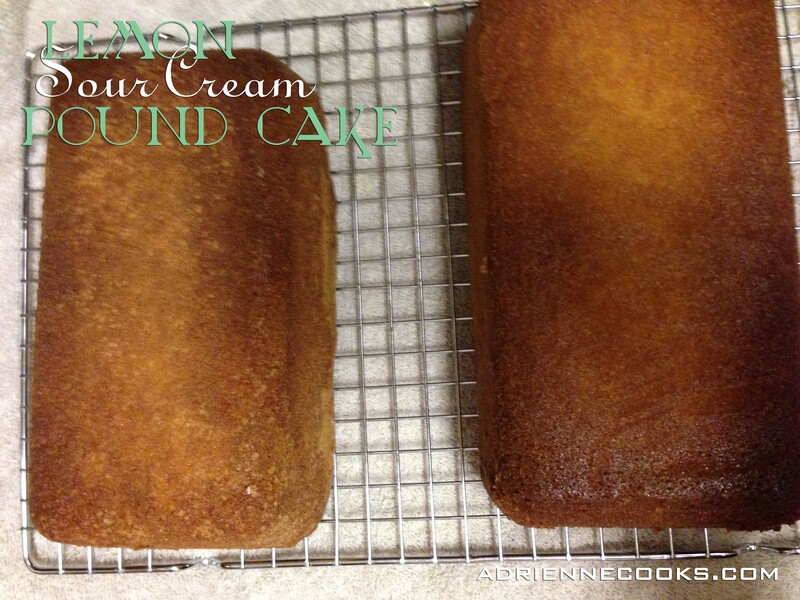 Today I have a nice lemony, decadent pound cake for you. 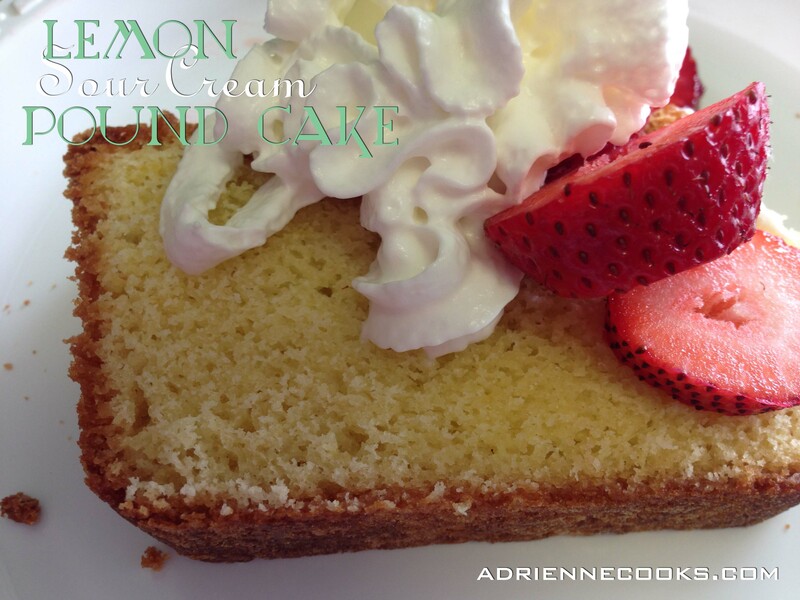 Not only does it have the dense, tight crumb of a pound cake, it has richness added by sour cream and that lovely dose of freshness and flavor added by the lemon. Don’t skimp on the lemon zest either! I think the cake actually gets more flavor from the zest than it does from the juice. 1 cup (2 regular sticks) butter, room temperature! Preheat your hot box (oven) to 325°F. Butter two bread pans, the long narrow kind – yes, even if they are non-stick! 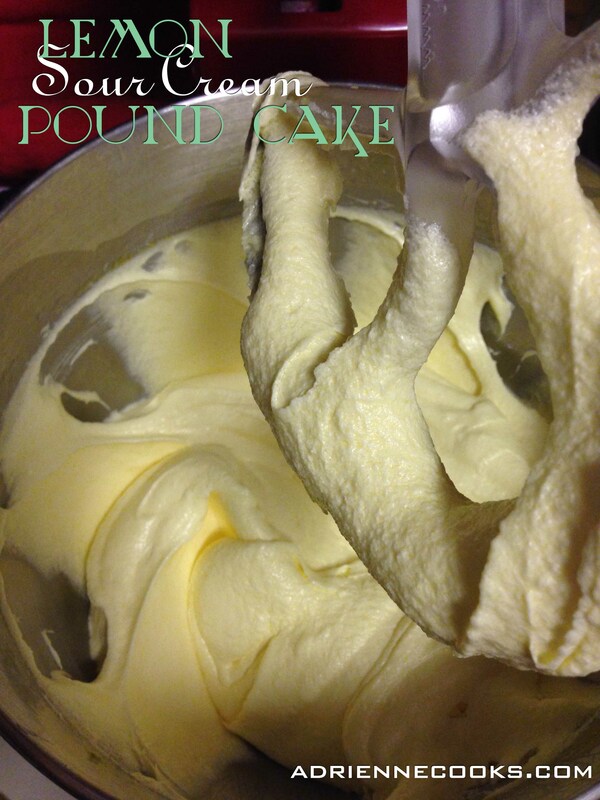 In your handy electric mixer cream the butter and sugar together until it lightens in color – 2- 5 minutes on medium. Add eggs one at the time until they incorporated into the mixture. Next goes the zest and juice. Toss in your salt, baking soda and mix till combined – then start slowly adding your flour on the lowest speed. Once all is incorporated add the sour cream and mix lightly until no white streaks show. Spread into two prepared bread pans. 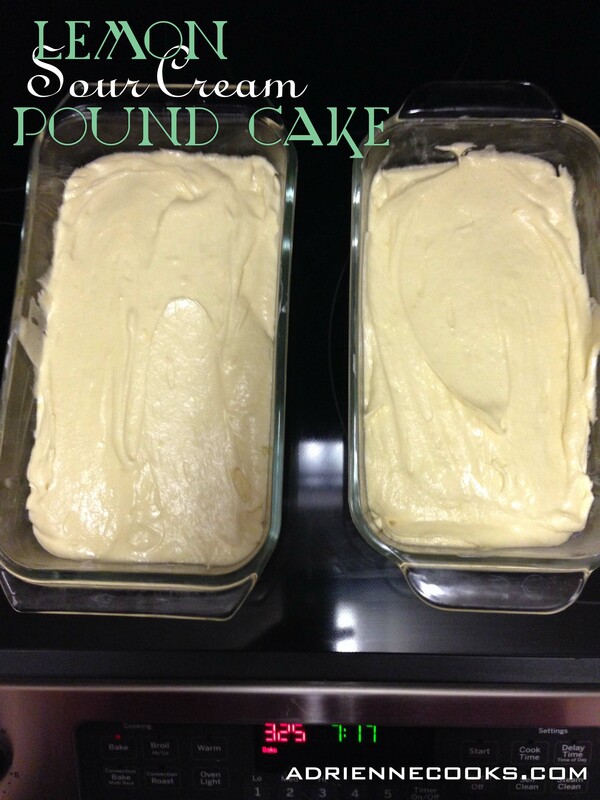 Try to flatten the tops and keep the batter off the sides. Bake for 1 hour but start checking at 50 minutes. Insert a toothpick into the center of each. The cakes are done with the toothpick comes out clean and the tops are a gorgeous golden color. Cool for 15 minutes in the pans. Then turn cakes out onto a cooling rack and cool completely before storing. Cakes will store in the fridge for a week or two days on the counter if you’re a planner! This cake is excellent by itself or serve with strawberries and whipped cream. Delish! Gorgeous! 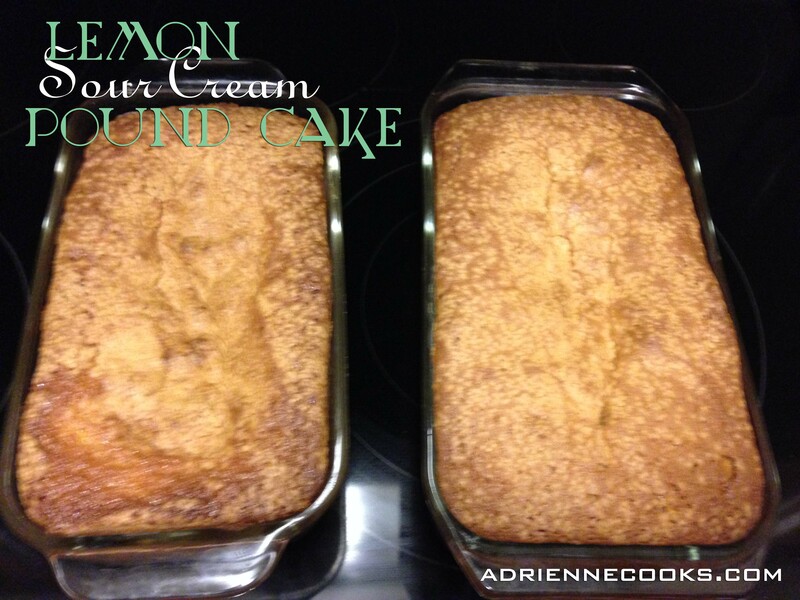 Brilliant using lemon pound cake! This may be my new normal! So good with fresh berries too! Yes it would and pretty too!